Halo seats were specified for a recent public library project in Dorset. The playful seating elements were added to create relaxing reading and breakout areas. GeoMet seating is available in any RAL / BS colour, and for the library project specified in sage green to match the new interior colour scheme refit. A sample was created for colour approval, then modular seating sections handcrafted and supplied to create 3 metre diameter circular arrangements. 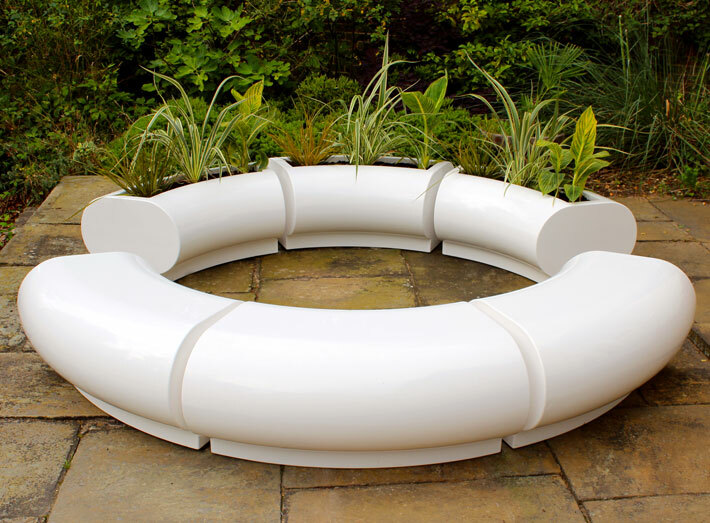 The seats are composite moulded and ideal for such high use areas. Handcrafted in the UK, highly durable and require the minimum of maintenance. GeoMet furniture is transforming public spaces with design, colour and usability. Our recent installed furniture includes schools, colleges, libraries, football clubs, for contract and residential projects. 1. 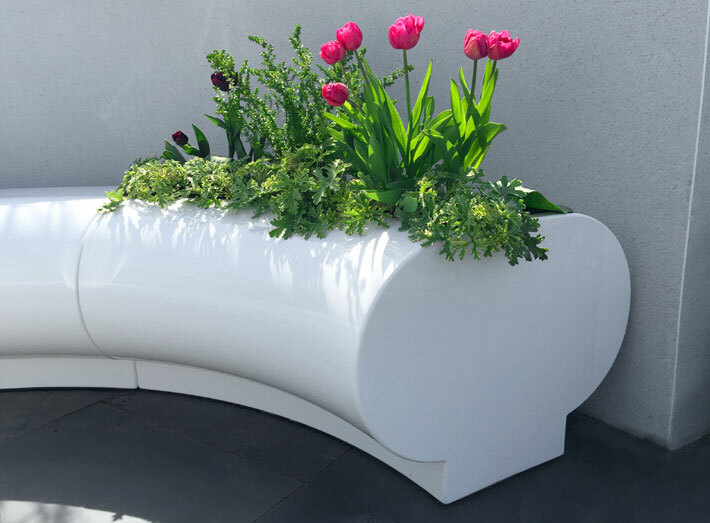 Halo beautifully striking seating and planter modules which can be adapted to fit most spaces. More photos and case study. 2. 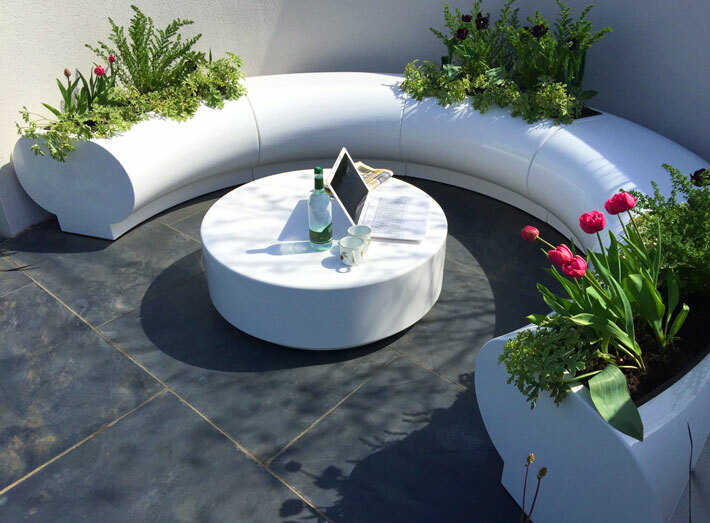 Halo planters - exceptionally durable, weatherproof and require minimal maintenance. 3. 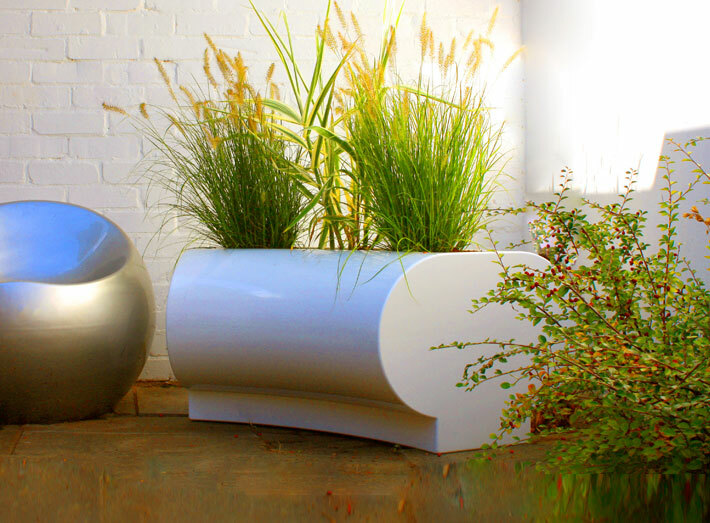 Halo garden planters are ideal as standalone features or part of a modular display. 4. 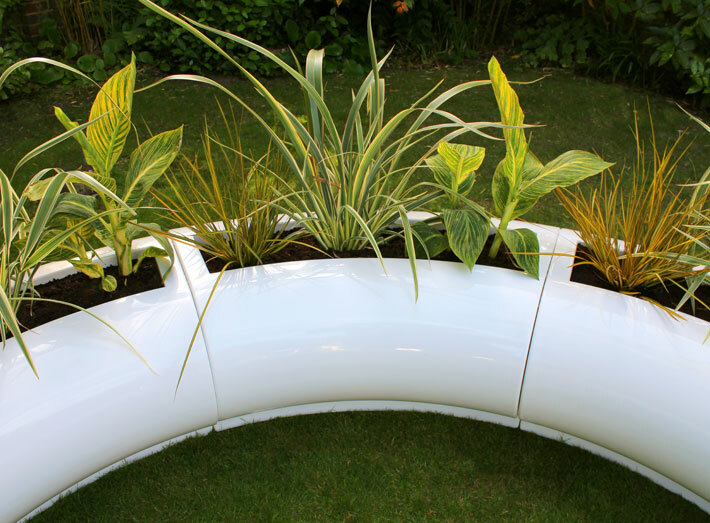 Halo, curved modular planter designs, easy to install and can be adapted to fit any size of space. 5. 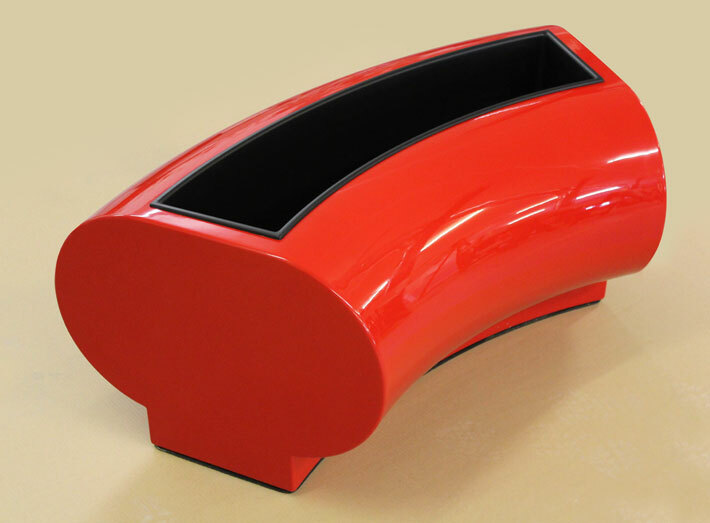 Simple curves & colour add beauty and value to meeting areas, showrooms, exhibitions, foyers and lobbies. 6. 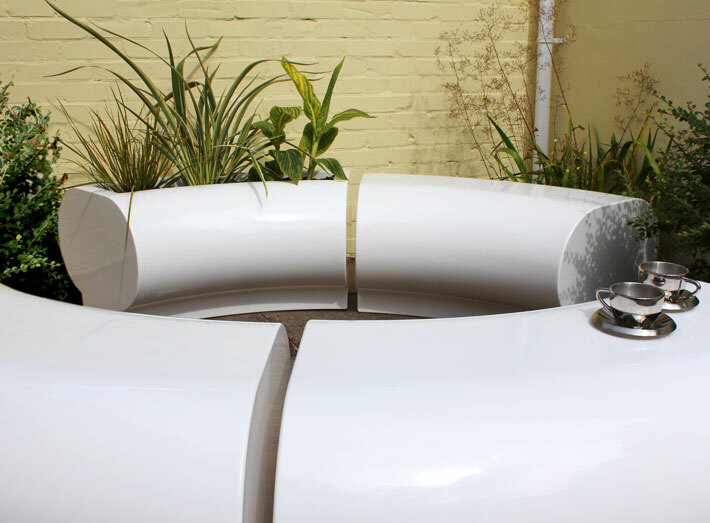 A striking Halo planter and matching seating centrepiece for gardens, patios and parks. 7. 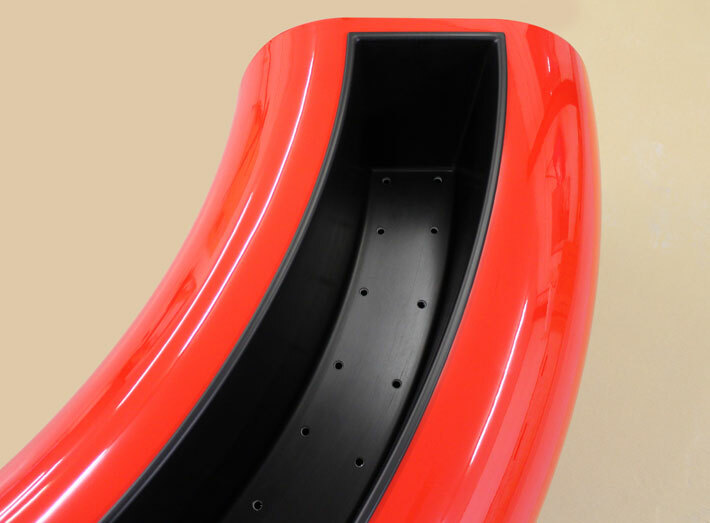 Composite moulded - strong, durable, high quality. 8. Hand-crafted Halo sectional seating and matching Halo garden planters. 9. 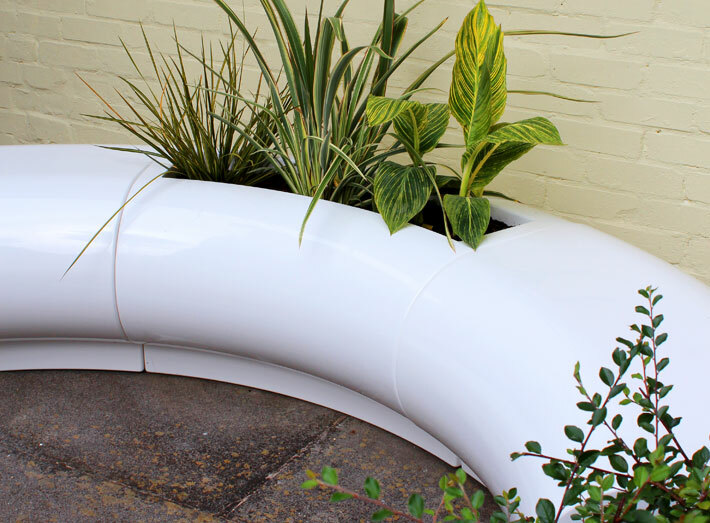 Halo planters can be made in any colour to match any interior or corporate colour, with optional rubber anti-slide base. 10. Halo planter showing optional drainage holes.